Brushing and flossing, watching your sugar intake and eating healthy foods are essential to enjoying the best possible oral health. Regular dental checkups are also a vital component to showing off a healthy, gorgeous smile for life. At QVC Dental Port Kennedy, we know that prevention is always better than cure. With biyearly dental visits, your mouth and teeth will stay in great shape. 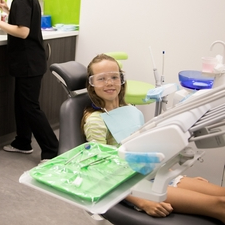 At these appointments, our warm, friendly staff will help you feel relaxed. We’re dedicated to the highest levels of customer service along with superior dental care, keeping your wants and needs our top priority. We strive to create long-lasting relationships with each of our patients. Signing up for our membership plan is simple. Just contact our team today by phone or email!